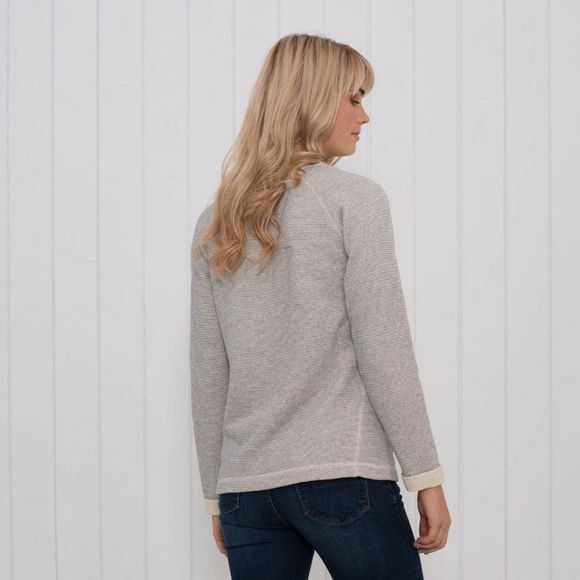 The Womens French Terry Sweater from Brakeburn is all about the fabric. This textured yarn dyed stripe fabric has a lived in look that is perfect for the relaxed shape. With a raglan sleeve for extra comfort and rolled cuffs.